Calling all Zebra Lovers! Black and White zebra print makes this long loop boutique bow look fabulous. 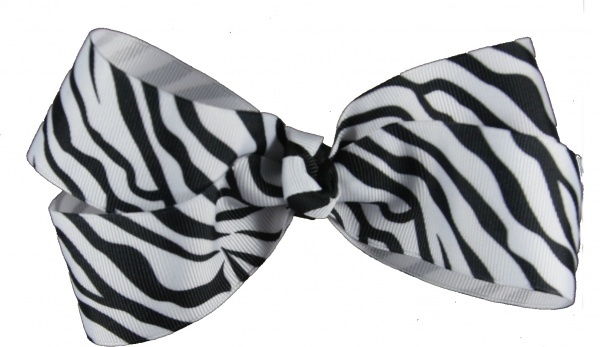 The center is a French knot with two smaller ribbons: black and white grosgrain wrapped together to match the zebra print perfectly. It is attached to a French clip.